Despite initial outward appearances, it’s not. We’ve talked to Google to get the complete story on what Android Go is, how it has changed Android One, and the main differences between the two. It’s important if you’re weighing up which version to have on your next phone. Google describes Android Oreo Go Edition as, “A new experience for smartphones with 1GB of RAM or less,” and is fine tuned for devices with specific hardware configurations. Google envisages most of these devices costing less than $100. It still comes with the Google Play Store installed, but it pushes apps designed for Go, or those that operate best on it, to the forefront. You can still install all regular Android apps though, so there are no restrictions in place. 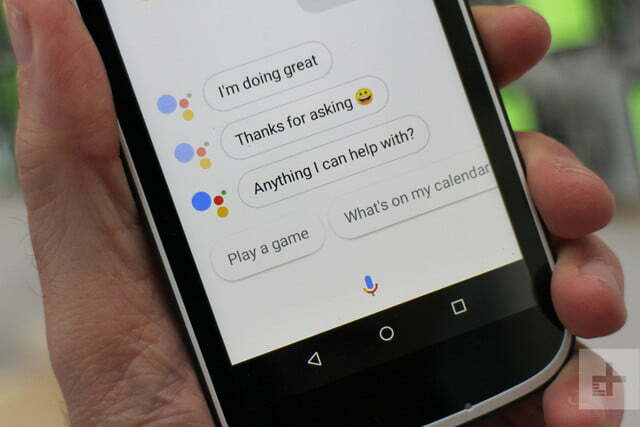 There’s a suite of Go Edition apps installed, including special versions of Google Maps, Google Assistant, Google Search, Gmail, and YouTube. The Files Go app helps organize internal storage, which is a key to optimizing Android Go’s performance and usability. The Go Edition apps, along with Android Go itself, take up less space on the phone. 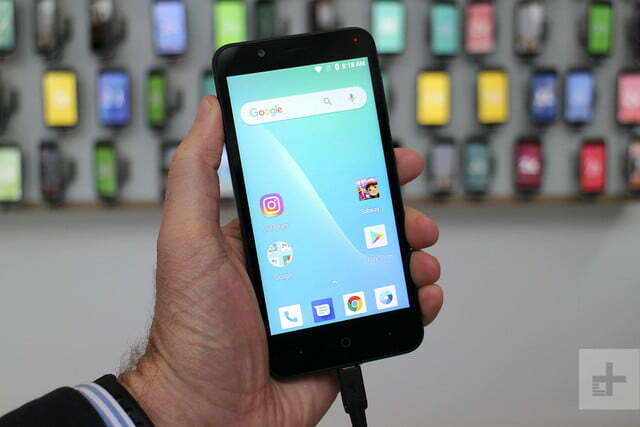 Most Android Go Edition phones will have 8GB of internal space, yet even with the entire operating system and pre-installed apps onboard, the models we saw still had more than 5GB of space available. Android Go also has a data manager to control network usage, comes with Google Play Protect to stay secure, and the promise of software updates in the future. No, Android One is different. We spoke to Google’s Global Marketing Lead for Android Go, Merrill Anovick, to find out how. 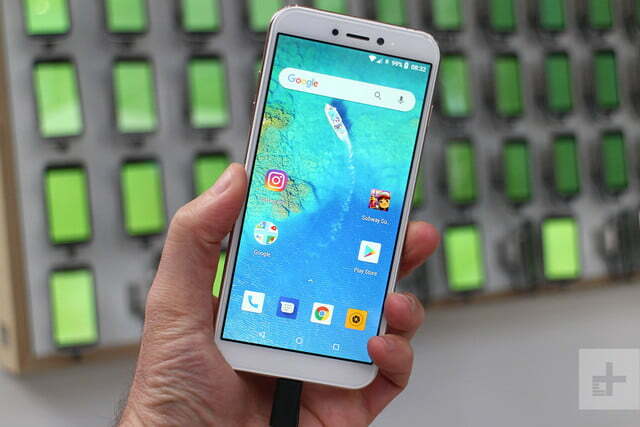 “Android One is our partner program,” he said, which means Google chooses who it collaborates with, and has more influence over what goes on the device. Plus, there are specific requirements partners must meet to release an Android One phone. Remember, these phones have the Android One logo on them, tying them more closely to the company and brand, making Google very protective. These requirements include committing to regular security and version updates, and adhering to pre-loaded app rules, thus limiting the amount of apps that can be installed by carriers or manufacturers. Android Go allows for more flexibility from partners to customize Go Edition devices, unlike Android One. Android Go phones do not have any Google-related branding on the body. While there is still a limit to the amount of apps that can be pre-loaded on Go phones, it’s mostly restricted by the device’s storage requirements. Google wants phones to have available space out of the box, and has spent time creating Go to take up less space. 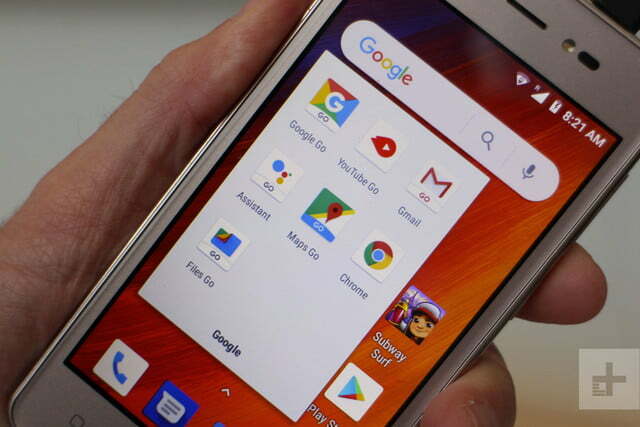 However, you can expect more pre-installed apps on a Go Edition phone than you’ll find on Android One. Additionally, any company or carrier can use Android Go, and decide where phones go on sale. 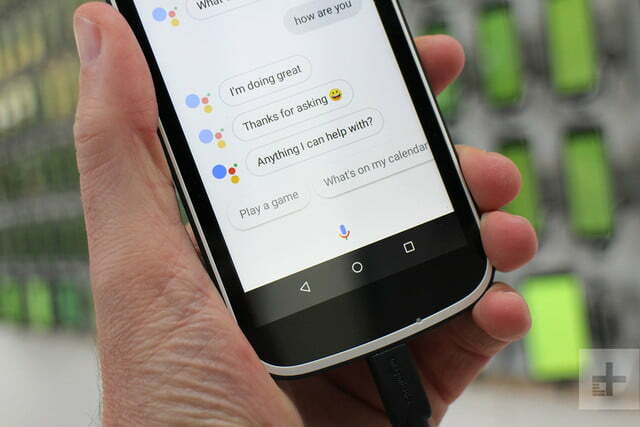 Google’s letting the manufacturers decide where Go phones are needed, rather than suggest markets where they should launch, as it did initially with Android One. This means they will be available in many markets, including the U.S. Because Android One phones now come in at a higher price point, we’ll see these more in traditional markets, where Google expects it to gain momentum in the future. We’re seeing this already, with HMD Global adopting Android One for its latest Nokia phones. How about software updates? Google says it plans to offer ‘Go edition’ versions of future Android releases. Android One will receive version updates for two years, and security updates for three years. The way they’re delivered is also different. Updates to Android Go will be provided by the manufacturers, like regular Android phones, so they decide schedule and rollout. Android One’s faster and more comprehensive updates are part of the Android One agreement manufacturers make with Google. Android One is more representative of how Google wants Android treated, but it is not so restrictive with Android Go. What’s the advantage of Go? While Android One looks to have most of the advantages, Android Go Edition phones do have a distinct benefit. 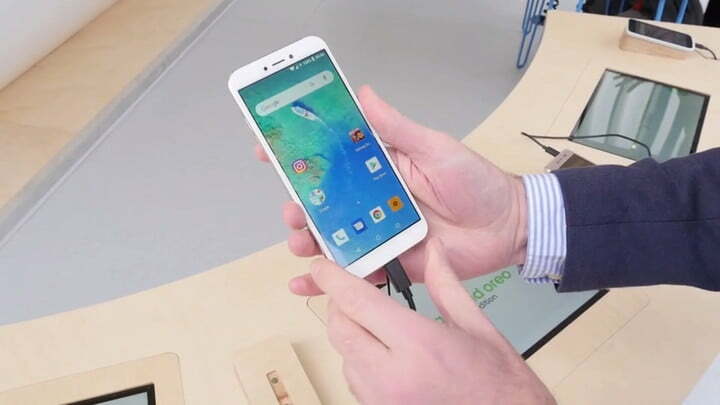 It gives manufactures the chance to release a cheap phone with the latest version of the software, rather than making do with an aging version, as a large percentage do now. That means the most up-to-date security and software out of the box, and provided updates do arrive in a relatively swift fashion, less fragmentation in a section of the market that’s affected worst. Google has six Android Go Edition phones on display at Mobile World Congress, made by Nokia, Alcatel, General Mobile, ZTE, Lava, and Micromax. More devices from other manufactures are spread around the show’s halls, and even now Google is unsure of the total amount of devices launching — showing the level of adoption so early on in the program. The good news is Android Go Edition won’t be limited to certain markets, and the ZTE Tempo Go will be sold in the U.S. We expect more to follow in the future.